KWTX TV hit rock bottom yesterday in their news coverage. Five Mexican guys were staying in a motel in Waco. They may have been illegal aliens, but that was not reported. Can you imagine all those guys staying in the same room. It must have been pretty gross. Anyway, they were eating and one started passing gas. This apparently hacked one of the other guys off and he pulled a knife and assaulted the bloated gas passer. I can’t say that I blame him. Shooing would have been more appropriate. 911 was called because of the stabbing and the bloated guy was taken to the hospital where his injuries were found to be non-life threatening. The poor guy who did the attacking was arrested and jailed. KWTX must have been desperate to report a story like this. They probably have their news truck with an investigative journalist out looking for a belcher. The belcher and gas passer would make great cell-mates and it would be great to put them in the same cell with Bernie Madoff. KWTX runs a segment in the evenings called Emily Wants to Know. She is always checking out unusual things. This would make a great follow-up story for Emily. Why do some people develop a lot of gas and why are some so gross they have to pass it while others are eating? She could also explore the techniques in passing gas and why some folks are silent while others sound like a jet breaking the sound barrier. Maybe all this is great reporting to take our minds off the worlds problems. It sure beats hearing about the economy and Iraq. I have a colostomy, so no gas passing is allowed on the porch. 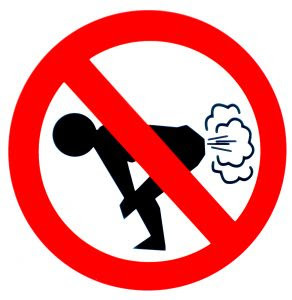 The gas from an ostomy bag is a lethal weapon.